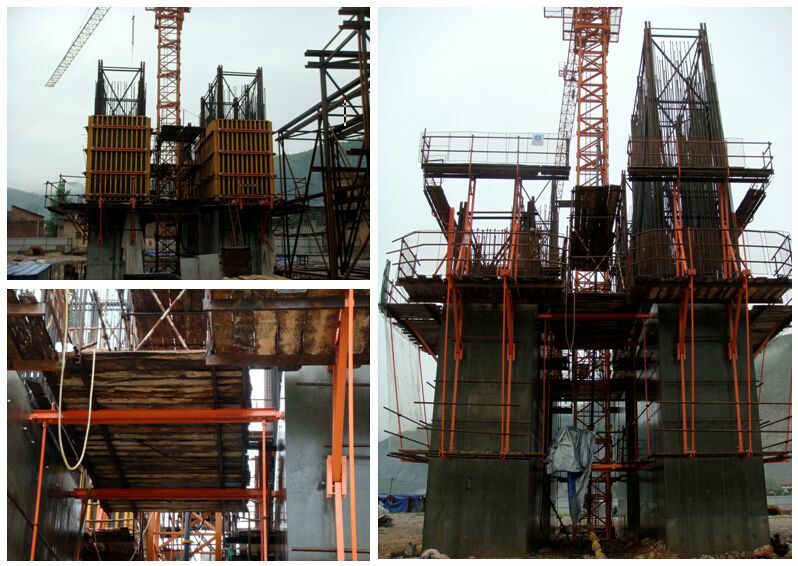 Shaft Platform offers multilayer construction work platforms and placing materials platform. It can take two sides or more massive formwork to climb up with frames according to the construction requirement, or offers supporting construction platform individually. Flexible structure and high versatility can meet the construction requirements of barrel structure in different spans. It efficiently saves construction time and usage times of tower crane, accelerates construction schedule and maximumly keeps safe in aloft work. As an operating platform, the shaft platform is mainly used in the concrete pouring of the elevator shaft, equipment shaft, stair shaft of high-rise building and so on. 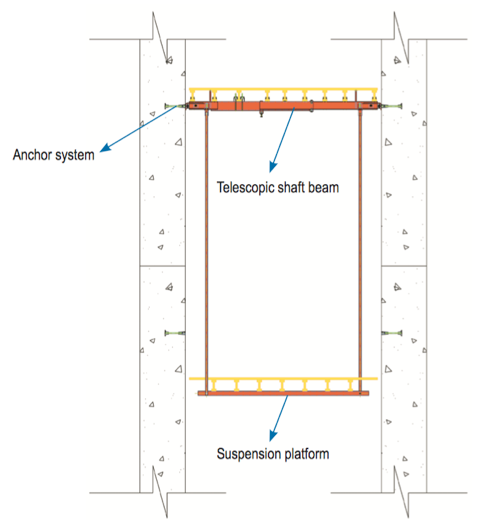 The length of shaft beam is adjustable. Flexible structure makes lifting easier. Ingenious modular system. It makes the system quick and easy to assemble and you can uses telescopic shaft beams for easy accommodation to any structure plan. 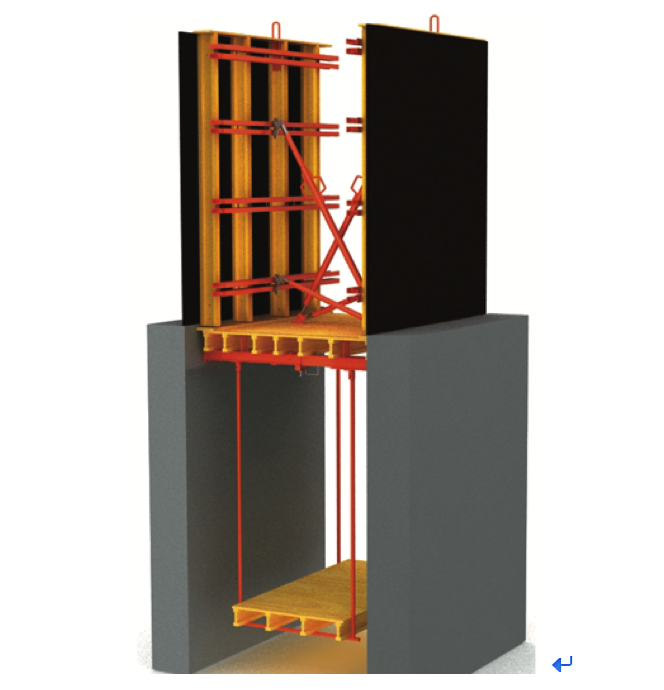 This system cuts back on crane time by enabling fast repositioning of the entire unit (platform plus shaft formwork) and formwork can be set up and struck quickly with no need for a crane. It provides maximum safety due to its two side anchoring.